F Šimon Stránský (Prince Albert, 2014-17) has signed a long-term contract with Vítkovice Ostrava (Czech Republic, Extraliga). This season, he had 22 goals and 26 assists in 57 games with the Raiders. 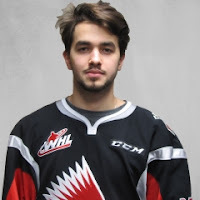 Stransky, who will turn 20 on Dec. 21, would have been eligible to return to the Raiders for one more season. . . .
F Brock Nixon (Kamloops, Calgary, 2003-08) has signed a one-year contract with the Graz 99ers (Austria, Erste Bank Liga). This season, with Esbjerg (Denmark, Metal Ligaen), he had 20 goals and 27 assists in 45 games. He was the team captain, an all-star and finished sixth in the league’s scoring race. . . .
D Rory Rawlyk (Medicine Hat, Vancouver, Prince Albert, Red Deer, 2000-03) has signed a one-season contract with the Sydney Ice Dogs (Australia, AIHL). The AIHL regular season began on April 22. Rawlyk signed a one-year contract for next season with Memmingen (Germany, Oberliga) on Tuesday. . . .
F Tyler Spurgeon (Kelowna, 2001-06) has signed a one-year extension with Innsbruck (Austria, Erste Bank Liga). The team captain, he had 14 goals and 29 assists in 52 games this season. . . .
F Pavel Padakin (Calgary, Regina, 2012-15) has signed a one-year one-way extension with Sochi (Russia, KHL). This season, he had six goals and six assists in 52 games. . . .
F Vitali Karamnov (Everett, 2007-08) has signed a one-year extension with Dynamo St. Petersburg (Russia, Vysshaya Liga). This season, the team’s captain had nine goals and 10 assists in 49 games. . . .
F Steven Kuhn (Spokane, 2008-12) has signed a one-year contract with Caen (France, Division 1). This season, he had 10 goals and 10 assists in 24 games with Neuilly-sur-Marne (France, Division 1). Kuhn is spending our summer playing with the Newcastle North Stars (Australia, AIHL). In four games, he has a goal and four assists. . . .
F Marcin Kolusz (Vancouver, 2003-04) has signed a one-year contract with Podhale Nowy Targ (Poland, PHL). This season, with Tychy (Poland, KHL), he had nine goals and 13 assists in 32 games. . . .
F Maximilian Brandl (Prince Albert, Portland, 2007-09) has signed a one-year contract with Bad Nauheim (Germany, DEL2). This season, he had seven goals and 13 assists in 52 games with the Revensburg Towerstars (Germany, DEL2). I was MIA on Thursday, thanks to a flu bug, but here’s a look at a couple of trades that took place during the WHL’s 2017 bantam draft. The Victoria Royals surrendered a sixth-round selection in the 2018 bantam draft to get F Yan Khomenko, 19, from the Moose Jaw Warriors. his fourth team. He began his career with the Everett Silvertips in 2015-16, then split this season between the Prince George Cougars and Moose Jaw. This season, he totalled 15 goals and 16 assists in 68 games. In Everett, he had five goals and three assists in 46 games. Cam Hope, the Royals’ general manager, has had good luck in acquiring European players from elsewhere in the WHL, rather than go through the machinations of the CHL import draft. Hope picked up F Vladimir Bobylev from the Vancouver Giants, and got D Marsel Ibragimov from the Edmonton Oil Kings. Both are from Russia. Bobylev had three goals and six assists in 52 games with the Giants in 2014-15, then had 67 points, 28 of them goals, in 72 games with Victoria the next season. After that season, the Toronto Maple Leafs selected him in the fifth round of the 2016 NHL draft. This season, he had 36 points, including 27 assists, in 38 games with the Royals. On Oct. 10, 2014, the Royals claimed Ibragimov off waivers after he had played one game with the Oil Kings. In 182 games with Victoria, he has three goals and 18 assists. Bobylev and Ibragimov are eligible to return for their 20-year-old seasons, but would be two-spotters, so it’s unlikely both would be back. Considering that Bobylev started this season playing professionally in Russia, it could be that he won’t be back in Victoria. 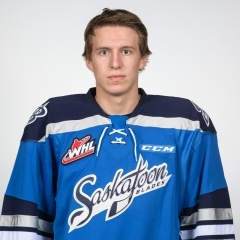 Moose Jaw now has room to add one import player, who will join Russian D Dmitri Zaitsev, 19, who is expected to return for his sophomore season. second-round selection in Thursday’s bantam draft. The Blades still have at least five 20-year-olds on their roster — D Evan Fiala, G Logan Flodell, G Brock Hamm, F Cameron Hebig and F Braylon Shmyr. McCarty, a fourth-round pick by the Rebels in the 2012 bantam draft, had been dealt to the Blades on Dec. 14, 2014, as part of a deal that brought D Nelson Nogier to Red Deer. In 2015-16, McCarty had 18 goals and 10 assists in 64 games. This season, he put up 21 goals and 16 assists in 45 games. The Rebels now have three 20-year-olds on their roster, the others being G Lasse Petersen and F Grayson Pawlenchuk. The Blades used Red Deer’s second-round pick to select F Braden Plaschewsky of Calgary. Meachem’s story is right here. The Portland Winterhawks have signed F Mason Mannek, 17, who is from Herriman, Utah. This season, Mannek captained the midget AAA Colorado Thunderbirds, putting up 16 goals and 27 assists in 32 games. 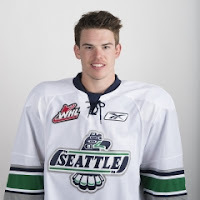 He was fourth in scoring in the Tier 1 Elite Hockey League. . . . F Jake Gricius of the Winterhawks also is out of the Thunderbirds program, as are ex-Winterhawks F Dominic Turgeon and F Alex Overhardt. The host Saint John Sea Dogs opened the QMJHL final with a 6-3 victory over the Blainville-Boisbriand Armada on Friday night before an announced crowd of 5,883. They’ll play Game 2 today in Saint John. . . . The Sea Dogs got two goals and an assist from each of F Julien Gauthier and F Matthew Highmore. . . . In the OHL, the host Erie Otters opened the championship final with a 2-1 victory over the Mississauga Steelheads on Thursday night. They’ll play Game 2 in Erie on Sunday afternoon. Real time it doesn't look bad. Ottenbreit never leaves feet. Wasn't a head shot. #WHLPlayoffs Shoulder hit to chest. Maybe late. Maybe. behind Regina G Tyler Brown. Neuls, from off the right post, banged in the rebound for the victory. . . . The Brandon Wheat Kings won the 2016 WHL title, beating the Thunderbirds in five games. In that series, the first three games went to OT, with Brandon winning each of them by a 3-2 score. . . . Regina now has lost the first game of three straight playoff series. . . . Neuls is from Grenfell, Sask., which is 90 minutes east of Regina. . . . Both regulation-time goals came via 4-on-3 PPs. . . . Regina D Connor Hobbs tied the score at 12:11 of the third period, pinching in and scoring off something of a backdoor play from the lower left faceoff circle. That was his fifth goal of these playoffs. . . . Bear had given Seattle a 1-0 lead as he returned from a three-game absence thanks to a hand injury. He showed no ill effects in slapping home a shot from the top of the left circle at 4:55 of the second period. Bear’s shot may have changed direction after hitting Regina D Josh Mahura’s stick. . . . Bear is from the Ochapowace First Nation, which is located not quite two hours east of Regina, so he had lots of fans in the building. . . . Bear hadn’t played since April 25 when he suffered an injury to his left hand late in Game 3 of the Western Conference final against the Kelowna Rockets. Since then, he had been spotted with a soft cast on the hand and a splint protecting two fingers. . . . The Thunderbirds were without F Keegan Kolesar, their leading scorer in these playoffs, as he served a one-game WHL suspension. . . . Regina lost F Adam Brooks, one of their top scorers, 3:37 into the second period when he left the game after absorbing a hit from Seattle D Turner Ottenbreit. It was the second time in these playoffs that Brooks, who put up 250 points over the past two regular seasons, left a game with an injury. He suffered a knee injury in Game 2 of a second-round series with the Swift Current Broncos and didn’t play in the last five games, although he dressed and was on the bench for the last three of those. . . . Following the game, John Paddock, Regina’s general manager and head coach, wouldn’t comment on Brooks’ status, but he was bleeding from the left side of his face as he exited. . . . Bear gave Seattle its first lead just 1:18 after Brooks left the game. . . . Seattle G Carl Stankowski continued his kingly playoff run with 31 saves. He now is 13-2, 2.39, .917 in these playoffs. His night’s work included a third-period save on Regina F Austin Wagner, who broke in alone while killing a penalty. . . . At the other end, Brown stopped 24 shots. . . . The Pats were 1-3 on the PP; the Thunderbirds were 1-4. . . . F Riley Krane, an eighth-round pick in the 2015 bantam draft from Dawson Creek, B.C., made his playoff debut with the Pats. . . . Regina’s scratches: G Max Paddock, D Owen Williams, F Jake Leschyshyn (knee), F Duncan Pierce, F Kjell Kjemhus and D Dawson Davidson (undisclosed injury). Leschyshyn and Davidson are regulars but aren’t expected to play in this series. . . . Seattle’s scratches: G Rylan Toth, who has yet to dress in these playoffs due to an undisclosed injury, F Elijah Brown, D Jake Lee, F Tyler Carpendale, Kolesar (one-game suspension) and F Dillon Hamaliuk. . . . If you were wondering, the record for the fastest OT goal in a WHL playoff game is held by F Gord Williams of the Lethbridge Broncos. He scored nine seconds in for a 7-6 victory over the visiting Calgary Wranglers on April 11, 1979. . . . Announced attendance: 6,484. Greg Harder of the Regina Leader-Post has a game story right here. Darren Steinke, the Travellin’ Blogger, posted this piece right here.